Is there a way to drag a piano or guitar chord to the staff in Progression and have the instrument play back the chord? Is there a way to drag a piano or guitar chord to the staff in Progression and have the instrument play back the chord? I don't mean play the chord or draw the individual notes, I mean drag a chord from the chord library onto the staff and have the appropriate instrument play the chord? Sorry for the delay in replying. Not sure what you want to do here - might be best making a tech support ticket via your my.presonus.com account so we can work through this with you. Progression 3: How to add a second chord name to a single bar? 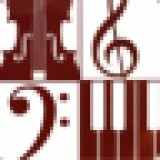 Is there a way to add custom scales in piano roll? Is there a way to add bracketed chord options in Notion for iOS? Does Notion have the capabiity to add chord symbols automatically to a keyboard part written on a grand staff?